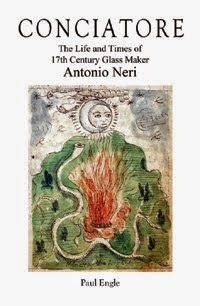 In January of 1600, Antonio Neri finished an ambitious manuscript called Treasure of the World, which was devoted to "all of alchemy." On the first page of text after the contents, above the first recipe, on the first line, written in Neri's own hand, are two solitary words, "fuimus troes"; a celebrated quote in Latin from Virgil’s epic poem, The Aeneid. The words translate to "We were Trojans" or more specifically "We Trojans are no more." They lament the fall of a city, sparked by the deception of the great wooden horse concealing enemy soldiers. These were words spoken in grief, in a charged, emotional scene, accepting defeat. We were once proud Trojans, but no more. While the intended significance in Neri’s manuscript may be lost, it is further affirmation of his academic grounding. What rings through the fog of history in these words, is the unmistakable passion behind them. And all her mighty glory o’er. The scene in the Aeneid takes place at night, under the stars. The hero Aeneas sound asleep, wakes from his bed to the burning pillage of his city. 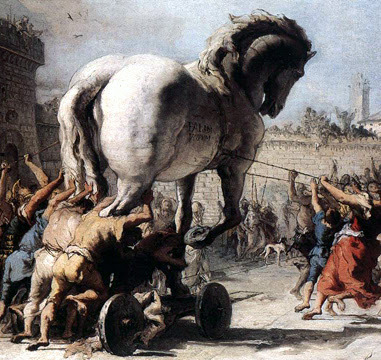 After years under siege, the gates of Troy were breached – not by brute force, but by cunning deception. The streets are in flames, piled with the bodies of slaughtered innocents. Panthus, the priest from the temple of Apollo, with his grandson in tow, runs to Aeneus and exclaims that Troy and the Trojans are no more: "Fuimus Troes, fuit Ilium." He entrusts Aeneus with the sacred vessels and icons from the temple. Aeneus fights his way out to safety, carrying his own father on his back. He goes on to wander the Mediterranean. Later he enlists the help of the Etruscans (the ancient Florentines). Together, on the banks of the Tiber River, he fulfills his destiny by founding the city of Rome, or so the story tells. In its broadest interpretation, those two words written by Virgil in the first century BCE, fuimus troes, have since been used to evoke the human drive to continue after a devastating blow. The loss of their widowed father in 1598 put the Neri children into a similar situation. The following year, Antonio's younger brother Emilio died at the age of sixteen on Christmas day. Two simple words scribbled at the top of a manuscript, yet they evoke the imagery of a man fighting his way out of a burning city, carrying the temple's sacred treasure. Behind all the recipes for glass and medicine and alchemy, there is a man of flesh and blood, one who felt life’s cruelties yet did persevere. This post first appeared on 30 August 2013.